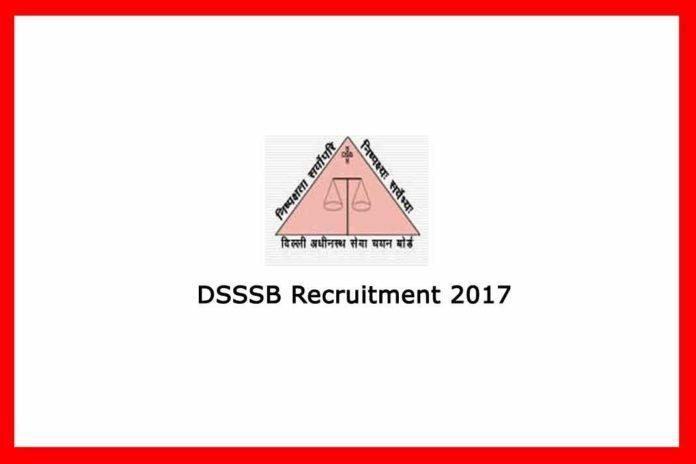 DSSSB Recruitment 2017 Put On Hold by Delhi’s Governor On Insistence of Delhi Govt. DSSSB Recruitment 2017 put on hold by Delhi’s Governor on the insistence of Delhi Government. That’s to provide weight in DSSB Recruitment to Delhi’s Guest teachers. In an advertisement dated 7th August 2017, Govt. of NCT Delhi under DSSSB announced 9,000 teaching and non-teaching posts. Already various coaching institutes in Delhi, especially in GTB Nagar area, has started offering DSSSB crash course. With this development, most probably it may make it difficult for young candidates with no work experience to get the post. As already there are 17,000 guest teachers working Delhi Government schools. Delhi’s Education Minister Manish Sisodia and his ministry had been insisting on Lt Governor Anil Baijal to stop DSSSB recruitment and rework on a framework to give weight-age to Delhi’s guest teachers. A day before the DSSSB recruitment start date, Lt. Governor order to hold recruitment process has made it likely for the implementation of policy. As reports are coming in DSSB recruitment most probably will be stalled by a month now. Already, prospective candidates are planning protest against Delhi’s Education Minister outside his home. Moreover, there’s a lot of confusion among candidates, who do not have full information. However, guest teachers working in Delhi Government schools support the decision wholeheartedly. It remains to be seen, how policies are charted on this step, and how much relaxation will be afforded to guest teachers. Download PDF of instructions on How to apply online for DSSSB vacancies.